This has got to be one of the worst stories to hit Wall Street. An absolute travesty. It appears that there was a great deal of concentration of Madoff (made-off?) investors in the Northeast and Southeast regions. 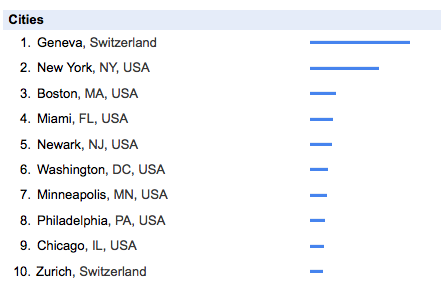 Below is the latest Google Trends search results for Madoff. 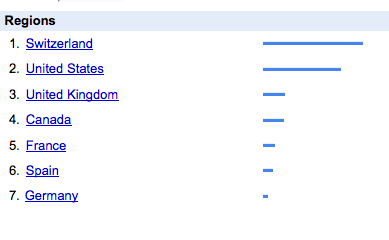 Interesting that Switzerland is the TOP country by search. Is this an indication of the amount of money that was involved by the search size?